Timeless, yea great show. Never cared about history that much, but has sparked and intest in history. Please keep it. One of my favorite showes. Please air it on prime time. I had to record it to watch it. thank God for dvdr’s. KEEP IT, KEEP IT. Loved the show and I think it got stronger towards the end – most interest is in the characters and their lives as affected by the altered events. I also liked the level of historical accuracy. Don’t need every episode to be attached to a “famous” event or person however – the story of the characters is the hook. Timeless is a refreshing new suspense drama that kept me tuned in every week. I wish there had been more episodes. It was wonderful seeing historical events come alive and done so well. The characters gel so well together. Please make a lot of viewers happy and renew the show. Loved TIMELESS ! The content was historically accurate, family really enjoyed this series. The characters where awesome and really enjoyed the storylines. We really like the series and its take on historical events. It would be a shame to cancel this intriguing program. Please renew. The show left us in limbo not knowing the next time trip would take the stars in history. We support many of the advertisers sponsoring the show. Don’t let it die as many of our previous shows have done. This is a great show, and when I ask friends if they’re watching, they all say “yes”! I’m surprised to hear ratings have fallen off. I thought the episodes got better and better as the season progressed. And I love the characters. I hope Timeless is renewed! I love this show. Nice to see something where rhe characters are trying to protect history instead of trying to change it. I love that they “dress” for the time frame and that Lucy gives us a snipet of the what was going on. I want a season 2!!! This is a great show! Please renew this show. Timeless is a great show. A lot of time has gone in to the character development and the plots. Every week there is some thing new and exciting. Please renew for a second season. Love the show, please renew it with Garcia Flynn. Love the show! And what a finale. YES, YES definitely want season 2. Finally found a t.v. show that my whole family loves. Three households watching and discussing it when we talk and visit. Can’t wait for the next episode each week. We will all be so disappointed if it is cancelled. You can’t leave us all hanging. 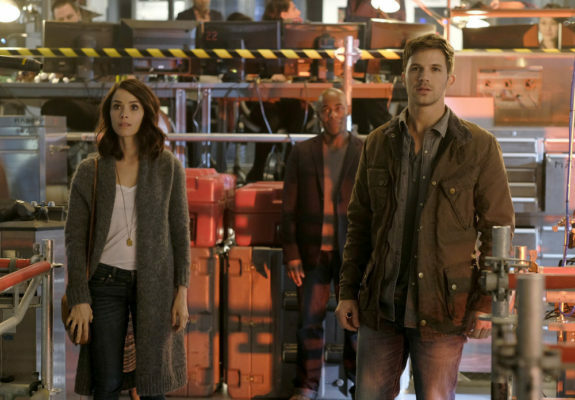 I’m very sorry but Timeless Season 1 Finale ending on a Cliffhanger is a great twist, but I feel/think that NBC should accept Eric Kripke’s pitch for Season 2 deserves to come back and they should accept it/renew it sooner than later! Timeless is an awesome amazing fantastic super very cool TV Series/TV Show so YES My answer is to renew it for Season 2!! Oh yeah! There definitely has to be a season 2! I wanna see what’s happened with Rufus’s girl, and how Lucy will cope knowing her mom’s one of the bad guys, and that by stopping Flynn killing the Rittenhouse members, she may have just helped Rittenhouse!